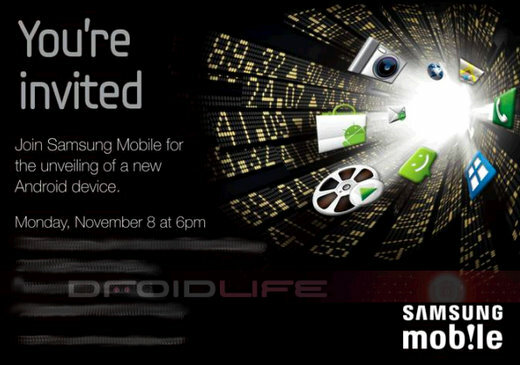 Samsung has just invited “people” from the media to a Samsung Mobile event on November 8th at 6p.m. (unsure as of now where the event is being held). This media will be highlighted by Samsung Mobile announcing a new Android device. Exactly what Android device this will be, nobody knows. But my guess is that it will be a new Android tablet. After all, Android 3.0 Gingerbread is the latest Android OS designed for tablet devices. And these Android 3.0 tablets are suppose to be on the shelves by Christmas. So what do you think – do you think the “mystery Android” device by Samsung Mobile will be a new smartphone, or a new tablet?